The start of a new term brings opportunities, but students aren't always happy. Labour Day is a time for workers to enjoy one more summer barbecue. Most students know it as the weekend summer fun ends and work begins. With high temperatures behind them and cooler days ahead, the pressures of school work, social activities and extra-curricular programming resume. Fortunately, the Westside offers a number of highly respected public and independent schools. According to the annual Fraser Institute ranking of British Columbia schools, six of the top 25 elementary schools in the province are located in the University, Point Grey, Dunbar and Kitsilano neighbourhoods. Add in Kerrisdale and Shaughnessy, and the number rises to nine. It’s the same story with secondary schools, with nine of B.C.’s top 25 secondary schools located across the Westside. Topping the Fraser Institute list are Crofton House, St. George’s and West Point Grey Academy, but the public school system offers several alternatives. Lord Byng, the province’s top-ranked public school, is a good example. The intellectual lodestone of the Westside is, of course, UBC. Perched on the bluffs which give Point Grey its name, the province’s top research university is the heart of one of BC’s most exclusive neighbourhood. The close connection between Vancouver Westside real estate and schools means several things for home buyers. One, if you have kids, you have options. Public schools typically have catchment areas. 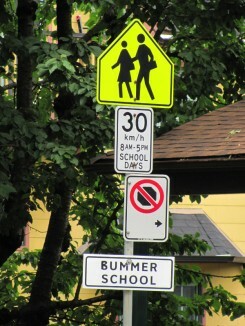 These require students in particular neighbourhoods attend particular schools. Nevertheless, the Vancouver School Board will consider applications to transfer students between schools within the board’s area. Two, even if you don’t have kids, schools can tell you lots about a community. On the one hand, the mix of prestigious schools in Westside neighbourhoods underscores the general affluence of the area. The kind of programming a school offers will reflect the character of the surrounding community. The number of languages at a particular school also highlights the area’s cultural diversity. Finally, proximity to post-secondary schools such as UBC means opportunities to rent suites to students. Students often make great mortgage helpers, especially in a city like Vancouver where vacancies are few and rents high. Whether you’re offering a basement suite or an entire house, and whether the tenant is a student or an instructor, schools offer financial opportunities as well as educational ones. With school back in session, new horizons beckon. Vancouver Westside is a good place to be whether you’re a parent or a neighbour to the local schoolyard.